Cool images, I like your style. but, you're messing with art. Why Mona Lisa? Why not Pamela Anderson or Anjelina Jolie??? 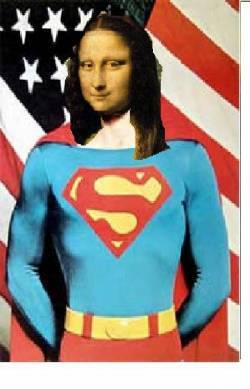 Post your comment on Super mona lisa!